Happy New Year from Rate Your Story! We hope 2014 is off to a great start for all of the writers who use our critique rating services. Cheers! We'll be sending out the January eNews very soon (later today), so check your inboxes in the afternoon. It will have some contest information and more goodies. Also, today (January 1, 2014) is the free/open submission day! One submission per person, please. Please make sure to follow all guidelines on our submission guideline page. Our next free submission day will be February 5th (please note the date change - due to our upcoming contest). 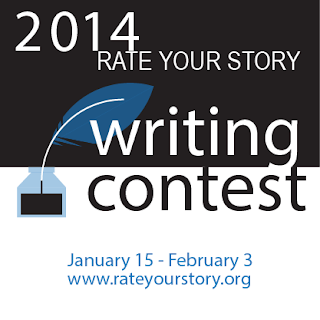 Rate Your Story's 1st Annual writing contest opens on January 15th, 2014. Picture Book - Text only, no art. Fiction or nonfiction accepted. Stories should be geared for today's children. Must be under 2,000 words, including any optional back matter or art notes. Judges will evaluate text and choose winning entries that "embrace traditional picture book form but also have potential to stand out and find a place in today's picture book market." Submit as a .doc attachment only. Novel/Novella - Submit only the beginning chapter(s) - 2,000 words, maximum - of a completed novel or novella that is 15,000 words or longer in its entirety. 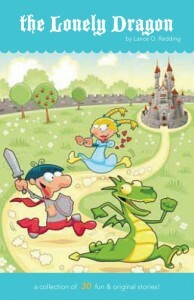 All genres of novel/novella accepted, for children or adults. Judges will evaluate text and choose winning entries that "have a compelling idea and/or characters and are written in a way that entices the reader to want to continue reading the rest of the book." Submit as a .doc attachment only. Everything Else - This is the "catch all" category. If whatever you've written doesn't fit in the two above categories, it will find its place here! Short stories, nonfiction articles for kids or adults, personal essays or short memoirs, flash fiction, poetry, board or concept books...enter them here. All entries must be 2,000 words or less. Note: Please do not submit collections of poems or short stories as one single entry. It's hard to pinpoint just what will win in a category like this, but judges will certainly look for great writing that stands out. Judges will evaluate text and choose winning entries that "reach and/or captivate an audience through well-crafted writing" and "are memorable enough to read again or share with others." Submit as a .doc attachment only. RYS Members are able to enter the contest for free. BASIC members may submit one manuscript for entry in one category at no charge. PRO members may submit two manuscripts for entry at no charge. If you are not yet a member, hurry and sign up by Jan. 1 here. Non-members and the general public are also able to enter the contest. There is a small $5 fee per manuscript to enter the writing contest for nonmembers and general public. 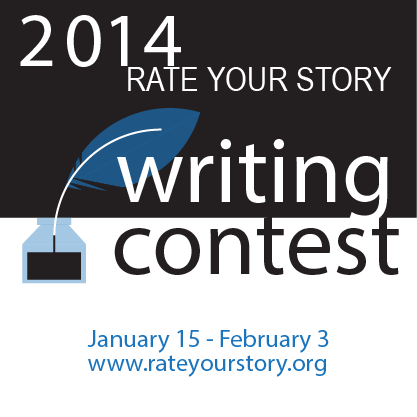 A checkout button will appear on January 15th (the day we begin accepting entries) at the RateYourStory.org site. In order to avoid any conflict of interest, individuals affiliated with Rate Your Story as a judge (past or present), freelance writer or illustrator, or any other compensated position are ineligible to enter this contest. Exception: Guest bloggers and interviewees who have not been compensated for their work are welcome to enter the contest. HONORABLE MENTIONS - We may, if entries warrant, throw in a few extra prizes at random for deserving entries that didn't make one of the top three spots. Please check back after January 1st for official submission rules for the contest. Entries received before January 15, 2014 or after February 3, 2014 will not be accepted. All entries must be received by 11:59 p.m. EASTERN time on February 3, 2014. More info with specific submission guidelines and prizes will be sent via email on January 1, 2014. Please sign up to receive our eNewsletter to be the first to receive the announcement. You can sign up at the box on the top left of the navbar or by clicking right here. 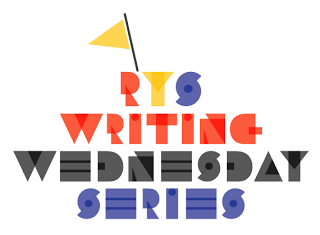 Special thanks to Julie Rowan-Zoch for the AMAZING RYS writing contest logo graphics! Don't Miss Our First Agent Interview! Just a reminder to all Rate Your Story readers that many of our writing posts, submission calls, and select interviews will now be sent via email, for your convenience. While we still will post occasional updates and articles on the site, signing up for our eNews before November 1 will ensure that you get our very first agent interview! Our first email, slated for November 1, will feature an agent interview with someone who is open to submissions from children's writers. Sign up now so you don't miss it! We will be dispersing this first email to all lists, but please note that most future interviews will likely be reserved for our only subscribing members (mostly PRO level). ANYONE, including non-members (free site users), may sign up for our general RYS eNews and Miranda Paul's writing emails by clicking this link. BASIC members will be automatically added to a list that will include general RYS eNews plus special discount offers on professional critiques and other perks. PRO members will be automatically added to a pro list that will include general RYS eNews, special discount offers on professional critiques, and private for-members-only interviews with editors, agents, and authors, plus occasional market guides or calls for submissions or other non RYS-writing contests. Here's the link to sign up for Rate Your Story Membership. Here's the link to sign up for the Rate Your Story email newsletter. Here's the announcement of our new membership options, and answers to your questions regarding membership. Let us know if you have any questions. Don't forget to sign up for our free eNews BEFORE November 1st! Thank you to everyone who completed our survey about Rate Your Story Membership Options. As you know, we (especially Miranda) have been truly frazzled trying to run the site on a 100% voluntary basis. We knew a few things needed to change to keep up the high quality of services you have come to expect from Rate Your Story. So that all changes today! Your responses made it super-clear what the vast majority of you are looking for from our site. Thank you, thank you, thank you! Your encouraging words were well-received and inspirational, and we will do what we can to bring you the resources you're looking for. *All packages except SPEEDPASS are based on a yearly membership. All of the membership options and free service offerings are now outlined in detail on our new page, Membership Options. Based on the Survey we posted, your responses were quite clear! And these are the things you'll now get with your membership! Please post your comments below. We are happy to answer your questions about Rate Your Story's new membership options! Also feel free to e-mail us your questions so we may clarify anything for you. We appreciate your continued support. Happy writing! With the additional email volume we received during the last submission window, please give us until sometime in October to return submissions. Thank you! Feel free to send us Birthday wishes if you'd like, too (Our 2nd birthday is October 1). Rate Your Story New Membership Options - Let's Hear From You! I can't believe how quickly the time has gone. Rate Your Story is turning two years old on October 1st! With that announcement, I bring a few tidbits of exciting news. As you know, we've read and rated thousands of submissions since we first opened. I have been so grateful to the volunteer judges who spend hours each month reading and rating your manuscripts, and offer free advice to guide you on your path to publication. Many of you have expressed sincere gratitude and enthusiasm for the service we provide. Many of you have emailed us to share good news about your work that was once submitted to RYS. Others have said that the revision suggestions offered have shaped and guided your next drafts. My hope is not only to keep the site operational, but to expand our offerings. In order to be able to continue pouring in the time and effort to run a site whose submission numbers are increasing each month, we are excited to begin offering New Membership Options. These reasonable fee-based options will give our users the chance to let Rate Your Story provide an even more customized service and additional services we haven't offered before. Before we post the official New Membership Option choices, we want to hear from YOU. Which of these elements is most important to you? How can we shape our Membership options to fit your needs? What services should we keep? Please email us at RATEYOURSTORY@GMAIL.COM with the subject header MEMBERSHIP OPTIONS to let us know what elements or services would solidify your decision to become a member at Rate Your Story. Before we decide everything, we need to know what you're looking for. When I began this site, I never imagined we'd be getting the volume of submissions that we do. I've poured my heart and soul (and a good portion of my writing time!) into running it. My hope is to find a model whereby I can continue to provide this service for you. Thank you for all of the wonderful comments over the past two years. I ask that if this site has helped you in any way, to begin sharing it and helping others find Rate Your Story. With our New Membership Options, it is my goal to continue meeting and exceeding your expectations as we move into a new era of providing services for writers. P.S. Submissions are open until September 7th. With the additional email volume expected this month, please give us until October to return submissions. Thank you! Feel free to send us Birthday wishes if you'd like, too! MIDDLE GRADE - seems like a big focus from editors and agents was on finding great middle grade! 2) Discussion of other digital formats, apps, metafiction techniques, and ways to get kids interacting with and engaged by stories—in their traditional forms and otherwise. I was at a picture book workshop held by Allyn Johnston from Beach Lane Books (Simon & Schuster). I knew before coming in to the workshop many of the beautiful books she's edited and her imprint's style. I was so thrilled at the possibility to get to hear her speak about craft and process. Apparently, so were many others—the room was nearly filled by the time she began speaking. Ms. Johnston started with some basics, and told everyone in the room up front that attending her talk meant she would look at one of their submissions after the conference. She mentioned that there were business cards in the back of the room they could take with her email. As she began her next sentence—and I couldn't believe this—nearly half the room rushed to their feet, ran for the back table, and began snatching up her business cards. Ms. Johnston, it seemed, must deal with these sort of unprofessional interruptions often. She didn't lose her cool (though she may or may not have rolled her eyes) before proceeding to reassure everyone she had an entire box of business cards and there would be enough for everyone at the end. She then established clear rules for the rest of her talk, and the room suddenly like I was in a middle school classroom of disruptive juveniles. 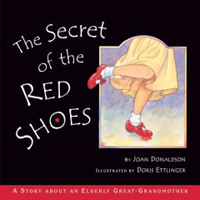 As Ms. Johnson continued, showing books she loved, the awkwardness faded and I was under the spell of her deep love and commitment to the picture book form. She choked up reading the final line of a book that she's read 100 times or more. It reminded me that editors, agents, and the people who publish our books are champions of our stories. That take what we write, boost it to the next level, and get it in the hands of thousands of eager readers. The notes I have from that workshop on voice and character and economy of language have already inspired a new PB for me, and reminded me of what needs work in some of my current WIPs. All of those things are why I wanted to attend her talk. I just hope every new writer in the room was listening to those amazing kernels of knowledge, and not just the parts about word count or whether or not to include illustrator notes or what month is the best month to submit to her. 1. It's a small world after all. 2. The way to get published is to write a really great book. Look! Miranda got to meet three-time Caldecott winner David Wiesner! A very special Wednesday, at that. 1. Rate Your Story Judges Miranda Paul, Lori Degman, Melissa Gorzelanczyk, and Mira Reisberg (now former judge—see #4) are all heading to SCBWI-Los Angeles (#LA13SCBWI). Come meet us in the lobby (a birdie told me most of us like to hang out at the hotel bar...). Let the wild rumpus begin! 2. We have a brand new volunteer judge coming on board next month. 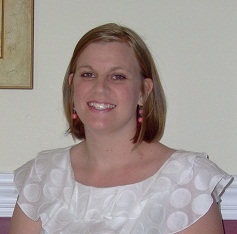 PB, NF + YA fiction writer Katie Clark! (More to come in a few weeks.) We love Katie. 3. Mira Reisberg has now launched her own literary agency, Hummingbird Literary. Even better? If you score a 1 or 2 from Rate Your Story, you can submit your work to her. PLEASE make sure you're a good fit, however, and read her guidelines over and over before submitting. She is otherwise closed to submissions except for very specific days. Make sure you read her site thoroughly here!! 4. We have a special guest post today! RYS judge Anne E. Johnson is celebrating her new book's birthday! She's our resident "quirky" and "all things sci-fi" author, as well as the queen of historical fiction. We love her brain—it never shuts off! 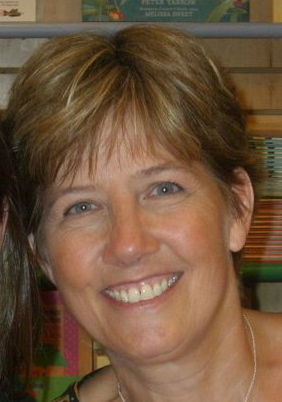 Anne E. Johnson has published fiction in many genres. Her works include the middle-grade paranormal mystery Ebenezer's Locker (MuseItUp), middle-grade historical mysteries Trouble at the Scriptorium and The London Hurdy Gurdy (Royal Fireworks), noir sci fi series The Webrid Chronicles (Candlemark & Gleam), and historical romance novelette A Kiss at Vespers (MuseItUp). Her first chapter book, Launching the Lunchroom, will be released by 4RV Publishing in 2014. 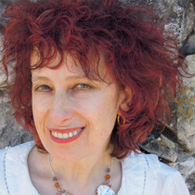 She has published over thirty short stories for both children and adults. Visit Anne's website to inquire about professional critique services or to learn more about her stories. 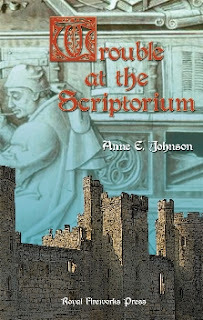 The first novel I ever completed was the middle-grade medieval mystery, Trouble at the Scriptorium, which I plotted and started drafting as part of the basic course at the Institute for Children’s Literature. Once the course was over, I finished and polished the novel, and it was eventually published by Royal Fireworks Press. I was so fond of the characters I created that I immediately began work on a sequel, The London Hurdy Gurdy, which Royal Fireworks also picked up and will hopefully release by the end of 2013. Those two books feature a twelve-year-old servant boy named Harley and his unlikely friend Lady Margaret, twelve-year-old daughter of his castle lord. In preparation for writing, it was a delight to do research about the early thirteenth-century in England, life in the feudal world of castles and monasteries, and (for the second book), life in the big city of London. An even greater delight was taking those facts I amassed and turning them into a couple of fun, adventurous stories for kids. I learned that historical fiction is a balancing act in which the details of one’s research color and shape the narrative but mustn’t overwhelm it. As I plotted and wrote, I felt a duty to present accurate history in the context of lively entertainment. This included a certain freedom with how I used facts: for example, I invented the specific castle and monastery in Trouble at the Scriptorium, but based them on solid research about real, historical places. I suspect that my affinity for historical fiction stems from my background as a professor of music history, a subject I taught for fifteen years. This is not to say that I spun fictional tales when I taught, but (like any good biographer will tell you, for example), a heightened sense of detail goes miles towards keeping students interested in what they might expect to be dry historical background. Since finishing The London Hurdy Gurdy, I’ve written two other works of historical fiction, both offering me challenges quite different from the Harley books. 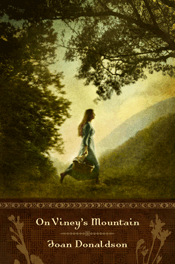 One is another middle-grade, but taking place four hundred years later, at the end of the Renaissance. That one is making the rounds of literary agents at the moment, so I won’t say too much about it. 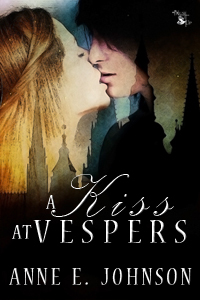 But I do have a publisher for the other work: A Kiss at Vespers is my first romance fiction, my first historical fiction for adults, and my first novelette. Yet, with all those firsts, the procedure was remarkably similar to researching and writing the Harley mystery books for kids. First, I had the joy of hitting the research library and discovering as much as I could about the east coast of Ireland---and trade with Britain---in the early eleventh century. And then there was the challenge of integrating that information into a compelling story with interesting characters, always keeping in mind that the historical setting was merely a context for that story and those characters. Historical fiction, whether for adults or kids, is a very special genre, combining a lot of different skills I’m thoroughly enjoying the journey of developing. Someone recently suggested that I combine historical fiction with my other great literary love, science fiction. It’s an intriguing idea, and I’ll be sure to report back here if I ever try it! You probably forgot that above, I said there were FIVE reasons why it's a great Wednesday. Have a great week! See you in LA! Hope you're having a great summer! Just a reminder that we are now closed to July submissions. If you did not yet receive your June submission rating, please inquire if you have not done so yet. Hi all! A quick note to tell you that we are open to submissions through July 7th. Please remember to keep submissions under 2,000 words and to only submit one manuscript. June Submissions note: we have returned about 95 of the eligible 108 June submissions. If you haven't received yours by this week, please email to inquire, as it may have been missed. Thank you! Hi everyone! Just a quick note to say that the June window for submissions to get a free critique rating is now closed. We received nearly 125 submissions in the 7-day window, so please bear with us as we get these read and rated. Our expectation is that by June 30 they will be returned. Feel free to inquire after that if you do not receive yours back. A reminder that if you submitted more than one manuscript this month, only your first will be read and rated. And Rate Your Story is OPEN to submissions (through June 7th)!! "Furthermore, we ask that you only submit ONE MANUSCRIPT AT A TIME to Rate Your Story. When that manuscript has been returned to you with a free critique rating, then we will accept another submission from you." If you submitted two, three, four, or (yes, someone submitted five) MSS this month, we will read and rate your first one only. You are free to send another manuscript next month during our submissions window. Please direct any questions to Miranda at the RYS email on the contact page. And now, to welcome our wonderful guest, a Rate Your Story user and 20-year veteran to the writing business, who recently landed a fantastic literary agent. 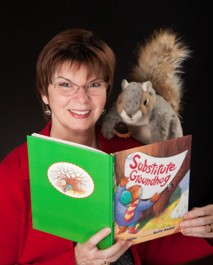 . .
Pat Miller is the author of Substitute Groundhog (pub. Albert Whitman). Miranda Paul: When did you want to become a writer? Pat Miller: I remember the exact place and moment when, at the age of seven, I decided it was the best year of my life. One of the reasons was that I could write my thoughts on paper. I’ve been doing it ever since, and think e-mail is a thoroughly enlightened invention! Miranda: Email is useful! (Although some days, I have to admit I think email is the cause of undue stress in my life.) But speaking of stress, your recent news about landing an agent has me curious about a topic many writers find stressful—the agent question. Agented or unagented? What's your recommendation? What's it like being agented so far? Pat Miller: I was unagented for the first 19 years of my career, which included publication of four books for children and 20 professional books for school librarians. I have been agented for only a few months by Stephen Fraser of Jennifer De Chira Literary Agency, and so far, the only difference is that I’ve been rejected by more prominent publishers. Miranda: LOL. Same here. That's one thing no one ever told me about being agented—how quickly and how many rejections come! But how did you land your agent? Tips for our readers? Pat Miller: My agent chose me through a submission I made to Julie Hedlund’s 12 x 12. So I don’t have tips for getting an agent other than submit only your best work. But I’m quite familiar with the slush pile. Submit your best targeted work. Get Book Markets for Children from Writer’s Institute, or Children’s Writer’s and Illustrator’s Market (Writer’s Digest) and highlight every publisher that wants your genre and accepts unagented manuscripts. Send out targeted query letters and submissions. That’s how I found the 32 publishers who rejected Substitute Groundhog, and its publisher, Albert Whitman. Miranda: Thank you for sharing that. As writers, we often sift through tons of advice from other writers. What's the worst piece of writing advice you ever got? Miranda: Nice! I'm giggling a little bit, too. Let's keep with a humorous theme. Funniest writing-related story? Pat Miller: One of my rejection SASE’s was returned empty. There wasn’t even a form rejection letter inside. I learned from that to put the publisher’s name after mine in the return address so I knew who returned the envelope. The good outcome—I share that sorry envelope with students during author visits as the worst of my 32 rejections. It turned out to be a good rapport builder. Miranda: Too funny! So, how did you hear about Rate Your Story? How were we a part of your writing journey? Pat Miller: A fellow member of 12x12 posted that RYS had opened the window for submissions. That was the first I’d heard of Rate Your Story. I submitted three stories over the following weeks, one of which earned a 1. The Hole Story is a historical picture book and it ranked a 3. I went a step beyond the generous volunteer evaluations to the Professional Critique section. I hired Jill Esbaum to critique The Hole Story. She gave me some great revision suggestions. This was the story that eventually earned me representation. For Preschool Grandma, I hired Miranda Paul. Though the story was only 138 words, she gave me a five page critique that caused me to entirely revamp the story, leaving few words unchanged. That one is being currently considered by my agent. None of my future stories will leave home without the careful attention of Rate Your Story critiquers! Miranda: Thanks, Pat! I appreciate the shout out our judges. They do a fantastic job. I know I've had some of them critique my books before submitting! If writers want to learn more about you, where can they log on? Pat Miller: My web site is www.patmillerbooks.com. Miranda: Thank you for stopping by! Comments are open! Feel free to leave Pat or the RYS team your message below. And remember that submissions close on FRIDAY at midnight! SUBMISSIONS WANTED! 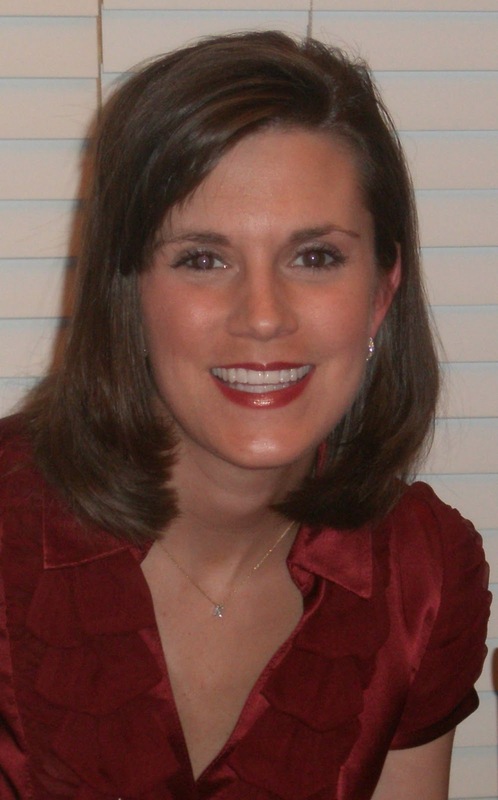 An interview with Editor Kathy Rygg from knowonder! Rate Your Story has received a huge influx of submissions in the last 10 days. We're running a bit behind, and so Rate Your Story closing to submissions for now. We've got a guest editor on the blog who is actively seeking submissions! Please welcome editor Kathy Rygg! Kathy Sattem Rygg is a children’s book author and Editor-in-Chief of the children’s publication knowonder! (www.knowonder.com). She earned her degree in magazine journalism from Iowa State University and worked for several Fortune 500 companies, including McGraw-Hill’s business publication division in New York City. She was also the Editor-in-Chief of Women’s Edition magazine in Denver, CO. She currently lives in Omaha, NE, with her husband and two children. Miranda Paul: Thanks for taking time out of your busy editorial schedule to pop in and tell us more about knowonder! and your latest call for submissions. Can you tell us more about the knowonder! story? Kathy Rygg: Knowonder! 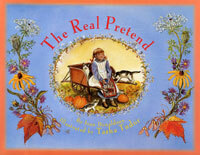 began as a publisher of daily short stories for kids as a way to promote reading at home. We have been through a lot of changes as we try to compete in the publishing market, but our core belief that daily reading content is necessary to drive literacy remains our mission and purpose. We are currently expanding our product offering. In addition to our short story collections we will include reading content that promotes literacy for infants as well as chapter books for beginning readers (grade 1-3). You can download a free copy of one of our short story collections: http://www.knowonder.com/register/. Miranda Paul: I've noticed that knowonder! has one of the most lengthy and detailed submission guidelines out there. I, personally, find detailed submission guidelines to be helpful. Why do you provide such detailed guidelines for writers? Do you think it helps you receive a higher percentage of appropriate submissions? Which submission guideline is most often ignored? Kathy Rygg: Knowonder’s! literacy program is unique. We focus on read-aloud short stories because they are proven to improve listening skills, concentration, and vocabulary in children beginning at a very early age. Read aloud stories need to be exciting with lots of literary devices such as alliteration, crisp vocabulary, and effortless dialogue. The guidelines help drive our decisions for acceptance. When a child enjoys hearing a story, it encourages him/her to want to read on their own. So our short story collections are a great step-up resource to chapter books. This is why we are adding chapter books to our reading content, so that as soon as a child is ready to step up to the next level, we have reading content for them. Knowonder! wants to grow with our audience. In addition to content guidelines, we obviously have format guidelines. These make it easier to edit and upload stories into the various programs we use for the finished digital and print publications. Unfortunately, many submissions don’t follow the format guidelines, which adds time to the editing process. So it is important to follow the formatting. Miranda Paul: About how many submissions do you receive in a month? Kathy Rygg: For short stories we receive about 150-200 submissions a month, and our editorial team reads every single one. We will do the same for our chapter book submissions. Miranda Paul: Let's get to the heart of what we do here at Rate Your Story—help authors avoid rejection. In your opinion, what are three things that might get a manuscript rejected pretty quickly? Kathy Rygg: If the story starts out too slow—we should know the premise in the first couple of paragraphs. Remember, kids have short attention spans. We also want the main character to be a child (or animal), not usually an adult (unless the child or animal is working with an adult). Third, the main character has to solve a problem—that is at the core of every good story. Miranda Paul: Great advice. Also at the core of what we do is help writers get acceptances. So. . .What are three things that help a manuscript get an acceptance from knowonder!? Kathy Rygg: Imagination goes a long way. We like creative, fun concepts because we know kids like them too. We also want the story to have action. The characters need to do a lot of things—kids are busy bodies! Third, I love a good last line. Something witty, funny, or a way to tie back to the beginning of the story. Miranda Paul: Thanks. Now, even more specifically—What kinds of stories are your favorite to publish? Miranda Paul: What is knowonder! looking to publish right now? Miranda Paul: Thanks for that specific info. Can you also tell us what knowonder! ISN'T looking for right now? Kathy Rygg: We are currently closed to short story submissions, but will reopen later in the year. Authors can subscribe to our email author notification at this link: http://www.knowonder.com/submit-2/. Miranda Paul: Some of our readers may not be familiar with knowonder! yet. In terms of traditional vs. self-publishing vs. independent vs. digital vs. flat-fee vs. all kinds of new-age publishing options, where does knowonder! fit? Kathy Rygg: Knowonder! is a hybrid—for short stories we pay either $25 (for stories 500-999 words) or $50 (for stories 1000 words and up). For chapter books, we have a royalty sharing program that will be competitive with industry standards. Our short story collections are available as digital and print formats (through Amazon) and our chapter books will be available in both formats as well. Miranda Paul: What sorts of authors do you look to publish, and what is their role in the process? Kathy Rygg: We publish both new and seasoned authors. However, we absolutely want authors who can market their own work. Nobody can do this alone, and the more we can help each other network and promote, the better off everyone will be. We also want to work with authors who aren’t afraid of revision. We often ask for revisions of short stories and try to provide direction. That will be even more important with chapter books. Miranda Paul: From an editor's point of view, what is one thing you'd like to share with authors that they may not know about your job or this industry? Kathy Rygg: I’m an author too! I’m constantly working on my craft, I have a critique group, and my work has been declined plenty of times. It makes turning down stories really difficult because I know how hard authors have worked on them. The children’s writing market is really competitive, and every publication is looking for something slightly different. Don’t give up—keep working on your stories and submitting them multiple places. Miranda Paul: I didn't know you wrote as well! How great to have an editor who knows the flipside of the submission game. Kathy Rygg: I also want authors to know that I’m completely approachable—the entire knowonder! team is, in fact. If you have a question about something before you submit, just shoot me an email: Kathy@knowonder.com. I try to be very prompt in responding! Miranda Paul: Ok, then! Since you're approachable, here come the "fun" questions. What was your favorite book as a child? Miranda Paul: If you were stranded on a desert island with only two knowonder! stories, which ones would they be? Kathy Rygg: The first would be “Kabungo” by our staff writer Rolli that appears in our Volume 2 collection of short stories. He has written several Kabungo stories, and I have fallen in love with this crazy cave-girl. The adventures she goes on are fun and laugh-out-loud humorous. The second story would be “Just Plain Sarah Jane” by Nancy Julien Kopp that is in our Volume 3 collection. It’s a quieter story, but it’s well written with a wonderful, unexpected feel-good ending. It’s a nice reminder that good things do happen. Miranda Paul: Next crazy question is. . .Where are the wild things? Kathy Rygg: They are living under my roof and they are ages 6 & 9! Kathy Rygg: What do you like best about living in Omaha, Nebraska? I was born and raised here, but I didn’t appreciate it fully until I moved away. My husband and I came back to be near family, and it’s the best decision we ever made! Omaha is a great city—it’s right in the middle of the Midwest, people are friendly, and we truly have the best beef in the country! We actually have more restaurants per capita than any other city in the U.S. And since we don’t have an NFL team, we do go a little crazy for our Husker football, but it’s worth it! Have a great rest of the week, everyone! Comments are open. I also made an offer, and got 14 responses, many of which went to SPAM mail. (Another reason why you should always politely follow up with agents and/or editors). If you remember from last week, my offer was good to the first 15 respondents. That means there's one spot left for a critique from Miranda!! Who will be the lucky one to contact me first? You, I hope! Email Miranda if you'd like in on the offer. But now, to today's post, I'd like to share a little more of what the slush pile looks like. 1= a volunteer judge saw it as completely submission ready. That means that among nearly 800 manuscripts, our judges were ecstatic about exactly 15. If our judges were editors, that would probably translate to a "read-on-Wednesday, make-an-offer-by-Friday" sort of response. 5 = a volunteer judge saw it as better than average, but still needing work. 7 = a volunteer judge decided that your overall idea had merit (so don't throw it out!) but the MS needed a lot of revision. 10 = a volunteer judge decided that the current MS should be considered as practice and you'll need to re-envision a completely new story or concept. Our volunteer judges, like agents and editors, are SUBJECTIVE. You could submit the exact same manuscript twice to Rate Your Story and get two different ratings. I've had particular volunteer judges pass on rating manuscripts because they had a fear of the subject matter or had just read three other manuscripts about talking dogs, farm animals, etc. Don't take ratings from RYS personal. We're doing our best to help you (for free), and give you a dose of what's really out there. Your work is already better than average. It stands out. It's probably being read in its entirety if you're actively submitting it. Use that to fuel you during the revision process and get it from the "good" pile to the "GREAT" pile. Your work has merit! There is hope! DO NOT THROW IT AWAY. All is not lost, and you've got some direction to help that story find its way into print. Listen carefully to feedback, but save something from the original. Play around with the manuscript. You can always revert back to an older draft. Who knows what you'll find when you revise. You've successfully avoided a possible rejection! Hooray! You've been given a chance to re-envision your story before it was too late, and gotten a fresh and professional eye to give you direction on making stronger choices. Since many editors and agents have a "no means no forever" policy, you often only get one shot in today's tough market. Our service has helped offer you insight on whether or not your MS is ready for that one shot. We're that friend holding your finger back from (or pushing it towards) the send button. And, when you get those offers, we're here, dancing with you!